It is an awesome experience for my children to learn the traditions and beauty of the liturgy and the Byzantine Rite. My wife is learning as well as she is a Roman convert. The priest is amazing and a good friend of ours. We have other good friends who attend as well. We enjoy all the singing as well as the harmonies that we and some other attendants sing. Pray like they mean it. Supportive pastor. Preaching. Chant, of course. The Joy. My senses being fooled into not knowing if I'm in Heaven or on earth. They care for sick visitors. We have a great worship space (basement), good priest, and small group of people who care about each other. Strong sense of community, strong belief, observance of the Tradition, open and welcoming to all. "Unabridged" Divine Liturgy. Excellent sermons. Very dedicated priest and family. Small but dedicated group of volunteers who serve parish. Potluck social every Sunday after Liturgy. I love the traditions of the byzantine church, especially the singing. That we have a great priest, and location. We have activities and fellowship. The liturgies, including the Presanctified during lent. It's a small parish, so you get to know more people, have more sense of community. Right now, we are searching for a community. We are looking for a real home; a place with true believers who desire to grow in their faith and serve God with a pure heart. The congregation we have been worshipping with has an excellent cantor and therefore the congregational singing is uplifting....a plus. The sermons are educational and challenge us to be better Christians. The people. It is encouraging to spend time with others who have similar beliefs and ideals. Everyone was also kind, welcoming and helpful to me as a newcomer. I attend services at both a Byzantine Catholic parish (where we are members) and a neighboring Eastern Orthodox parish (ACROD) where we are friends with the priest and his wife. We have a special bond and relationship with our parish priest; he is particularly close with our family. The welcoming attitude of all in the congregation. We are so small that we really know each other. Sometimes, we are like a family with a whole bunch of crazy in-laws, but we genuinely care about each other. We notice when someone is missing and somebody checks in with missing members if it is for more than 2-3 weeks. Because it is harder and less convenient to be a member of and Eastern Catholic parish, the members are all highly committed and actively seeking to follow Christ, rather than coming to church out of a sense of social obligation or tradition. Open, Inviting, Warm, and Hospitable. We also really enjoy having a close relationship with our priest. The community is very small, but very welcoming, unlike other Eastern Christian communities in the West that I have visited. Also, the Divine Liturgy at this community is mostly in English. The people that are involved in keeping our parish going are a great group. They work hard & put their heart & soul into everything they do. Liturgical cycle; our priest and matushka. The Divine Liturgy and the supportive community. 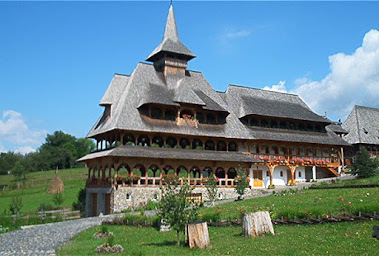 Smallness, Divine Liturgy and other worship services that are not abridged. The sense of community the parish and parishioners have. Strong sense of parish family, and commitment to and love of God, the Faith, and the parish. Used to have a very dynamic pastor until he moved to a new parish because of other duties. Parish in a tough spot because waiting for our new pastor to return after medical needs were addressed, but those who were the heart of the parish before still are. Close knit community, liturgical solemnity. I'm not part of the parish on a social level but just attending Divine Liturgy. smaller, more comfortable, love the chanting. you could say it is my blood. The small, tight knit community. A deep sense of spirituality, reverence, and love. The care shown to the liturgy and the orthodoxy of the preaching. focus on discipleship, focus on our brokenness and not just on 1 or 2 moral issues. Good preaching. The liturgy contains the Church's theology. It's a very tight community, and many of my local school friends are Greek. The Liturgy, Vespers and Matins are all celebrated. They are not abbreviated and do not have the politically correct gender neutral language of the Byzantine Catholic Church. Choir is excellent. Mostly English. Bits in Slavonic. Great food! Devout families. A nice religious ed program. Non-judgemental, everyone’s welcomed ,they can "come as they are "
Sense of community, smaller than Roman parish and everyone is very nice, welcoming, and friendly. The absolute best thing, though, is definitely the Divine Liturgy... I just don't get that sense of Sacred/mysticism/closeness to God in the other Rites. 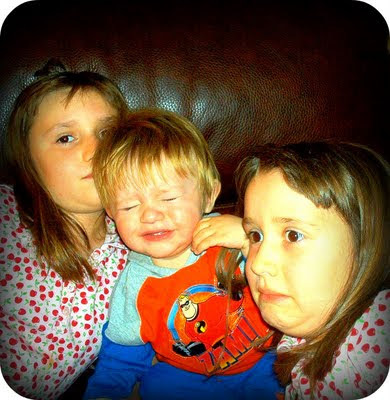 Acceptance of my unruly children. Hands down. Welcoming community. Support from the seminary. Community involvement in liturgy and social events. The community in my original country is very welcoming AND maintains the ancient traditions and customs. Theosis and love for the Communion of the Holy Spirit. Familial Environment; the people are there for their Faith, having to travel great distances to get to church, when contrasted against the fact the likely live much closer to a run-of-the-mill Roman Catholic parish. There's a next man up mentality I got to participate in, since involving myself in the three years I've spent in the Byzantine communities. Sincerity, love for beauty in religious practice, awareness of what we are and what we are called to be (though we still struggle with that). The community life. Availability of the services. Keeping of traditions. The reverent liturgies, the strong community, and the welcomeness to outsiders. It's a family. We feel welcome and a string part of the community. It's wonderful to worship together with people we love. We currently attend two different churches, each an hour from our home. We are new to the area. It is the one true faith! Handed down unadulterated from the time of the early church! Reverent Liturgy & excellent preaching. Holy communion and the priest. Liturgy and people in the Church. Intimacy and friendliness. Lots of large families like ours. Good preaching grounded in Fathers. The Faith is clearly taken seriously but people aren't uptight. Children are welcome. There is joy and peace. Christ is among us. The parish has regularly scheduled Vespers, Matins and Divine Liturgy for all Sundays and Feast Days, and the services are celebrated in full. It starts with this...will they be done by Theophany/Epiphany- or maybe Candlemas? Why do you attend Eastern Christian religious services? 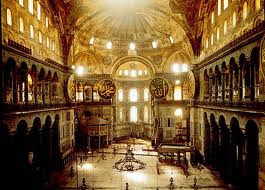 - My husband loves the Eastern churches. If we had one nearby that we could attend on a regular basis, he would seriously consider becoming Eastern Catholic (he's now Roman). - We all attend Divine Liturgy together to learn more about the Eastern church. - Fell in love with the Divine Liturgy 16 years ago. Can't imagine life without it. - When I first went, it felt like home. - All of the above! It is my heritage, but it is also the perfect way For me to fulfill my obligation to worship God and recharge my soul, so to speak. - The Byzantine church that I attend combines many of the things I love about the Roman rite and most of the things I loved about the protestant church I grew up in, and has little to none of the annoyances that distract me. In short, it is the best fit for me. - Theology prayed in the liturgical services. - It is my faith. - We are transfers, so we chose this. - Oasis from the Novus Ordo Roman rite when Traditional Latin Mass not available. - Being a Byzantine Christian is who I am and liturgical worship is "what we do." - We feel as if we found a rich spiritual treasure & a new spiritual home when we discovered the Divine Liturgy 10 years ago. How often do you attend Eastern Christian (Catholic or Orthodox) religious services? 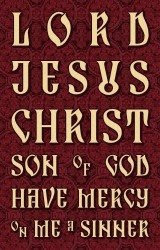 Also Great Fast, Holy Week, Philip's Fast and feast days. Always at least once a week, sometimes more often, especially with Holy Days and special services at times. During Lent it may be twice a week. At other times of the year it may be only for feats of Our Lord, Our Lady, and St. John the Baptist. I no longer live in a Christian country, so I only attend when travelling abroad. How far must you drive (one-way) to the Eastern Christian place of worship you frequent? -Priest in charge of the mission is a friend and seminary classmate of my husband. -Feels like our spiritual home. 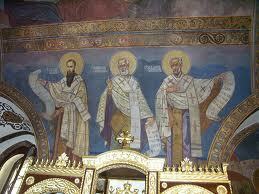 -It is Russian Greek Catholic and has remained true to its Orthodox roots. -This was my grandmother's baptismal parish, so when we moved to this area we chose to go there rather than the parish closest to us. -why not? after all it is like going home for me. -Cathedral. Local church too Latinized. -closest one where English is predominant language of Liturgy. GF attends Romanian Cathedral also so I go with her a lot. -I have close friends who are Greek Orthodox and their current church is the one I was married in--the Archdiocese of Boston closed it and sold it to the Greek church as part of the reorg in 2005. -Five Byzantine and three Ukrainian within 30 mins. -It is the closest Byzantine church to us, it is near both my and my husband’s families, and we were married there. 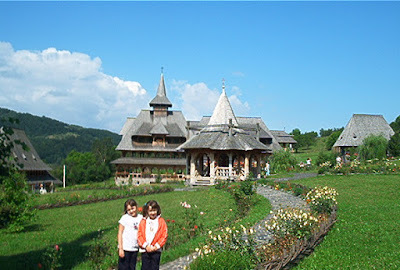 -I must travel ~1.5-2+ hours by ferry, train, and taxi/bus to reach the only Orthodox church in my city. -I am related to a Byzantine priest. -We found a home and our children are thriving. We feel called East. Great Vespers and Divine Liturgy are regularly offered. In which church were you baptized? ---As an infant I was baptized in the Orthodox Church. When I was 11 or 12 my parents joined the Byzantine Catholic Church & I was rebaptized [hmm- this should not have happened] & reconfirmed. ---Baptised again in Roman Catholic church because the baptismal records from Episcopal church could not be found (after I became Catholic). Which Eastern Catholic or Orthodox church do you worship in the most frequently? --- I guess Byz Cath but different from confirmation jurisdiction is right. We transferred Rites several years ago, so we only occasionally attend Roman Catholic Mass anymore. We are officially Byzantine, and attend a parish of our official jurisdiction as well...but since my spouse and I were confirmed RC, it's actually a different Rite altogether. --- I belong to an Orthodox parish but I was confirmed at birth when baptized in a Byzantine Catholic Church. --- Became Orthodox, via Chrismation. My pastor said there was no re-do of sacraments. --- I am Roman Catholic but I am a regular visitor to your great blog. I do attend Byzantine Catholic Divine Liturgy very infrequently because it is so far away. --- Canonically Latins but planning to request Change of Ritual Church. All of our children think of themselves as Byzantines. I need ten more respondents! Click here if you have not taken the survey! Eastern Catholic, Orthodox lay believers, & visitors- take this survey! you can also take the anonymous survey by clicking on this link- thank you! After your husband was ordained or entered seminary, how was your life negatively impacted? -stress in seminary was so bad I ended up in the hospital with stress related illness. I feel like a single parent. If you knew then what you know now, would you still marry a man who was also called to Church ministry? --- I am very glad he has been able to fulfill his call to church ministry and we have been financially blessed. I wish we had more time together as family and really miss family vacation time. --- It will sound odd. Isolation and loneliness for me could be considered both positive and negative. I grew up in a warm, loving family. I was never alone, always surrounded by parents, grandparents, uncles and aunts. After I married my husband, due to the nature of his work, he was away all day. I was left alone with a young son and an overwhelmingly difficult job. I work for the university, but I don't teach that many hours a week. I spend most of my time doing research, reading and writing, so I can work from home. Loneliness got to my bones. At first, I was utterly miserable, but in time I understood it was a lesson from God. This is how He taught me about independence. I am a completely changed person now. I value the fact that I spend enough time alone - actually, not alone, but just myself and God - and by that - I stay away from all the negative things that permanent socializing brings to a person. I have time to read and think and pray. I live in a city and outside the walls of my little house it's madness. As for the positive impact... I have to say, the most important thing would be meeting people I look up to, people who are models of goodness, generosity and love. All the people I admire most come from the Church, so there must be something there. :-) I thank God and my husband for introducing me to this world that at first felt unusual to me, populated with people that seemed to come from a different era, but now it feels natural and how it's supposed to be. --- Separation has been difficult. Loss of income has necessitated sale of home, subsequent downsizing, and second job to supplement income - all while husband is away at seminary. Also two grandchildren born while husband has been away. --- Positives: - Seeing my husband's joy in serving the Church, celebrating the liturgy and other sacraments, it is so clear that he is where he was meant to be. This is the big one. - People have been incredibly kind and welcoming to us. We recently moved for my job, so he is currently a supply priest and helps out at the local parish when not needed elsewhere, and we have been welcomed with open arms. My kids get so much love :-) - The absolute best was when my husband baptized our daughter. Amazing. - We are Orthodox, so contempt for married clergy is not an issue. Negatives: - We have virtually no time as a family, I work a regular full time office job because I am still the main breadwinner, and before we moved my husband worked 7 days a week. It's not as bad since we moved, but once he has a parish it will be awful again. That said, I should be able to cut back on work once he has a parish assignment, so that will help. - It is incredibly hard to go to Church by myself with two very active kids - we only have one car so this compounds the problem since we either have to all go really early or I stay home. And forget Holy Week or other special services. - I worry that my kids will hate the Church because Papa is gone so much. - It's lonely and no one really gets it. - Seeing the hierarchy up close and personal can try your faith... I would absolutely still marry my husband despite his call to the priesthood. Not because I like being a Presvytera (I don't), but because he's worth it. --- Yes, I have a good and wonderful life. I have been able to see and grow in different ways then I would have. GOD IS FAITHFUL ALL THE TIME. I have lived it. --- I have some distance and experience now, and I know wholeheartedly that this was the right path for us. In the beginning, I suffered depression and God allowed me to be tested in various ways. Sometimes I still feel isolated. But I have an incredible husband who nurtures my emotional and psychological health and a merciful God who leads people into my life to support me. I am part of an incredible community, and I couldn't be more grateful for the miracles I get to witness. --- I married my husband and would still marry him regardless of his vocation because I love him. We share the same values and goals, we complement eschewed other gifts. The church and world are a better place because of his ministry and of who he is. --- I honestly don't know what I would do. --- My husband was always interested in outside activities; his ministry has made it too easy for him to justify busy-ness that takes him away from family. Unfortunately, this often leaves me feeling abandoned & the children more or less ignored by him ... realistically, I think this may have happened eventually anyhow b/c of his personality / temperament. But who knows. --- My husband is an amazing, holy and wise man. I have literally seen the grace received at his ordination transform him into an inspirational man of God. In the hard times, that gives me peace. I have also seen God pour out blessings on us after he was ordained. I know that this is God's plan for my husband and I continue to support him as he prepares for the priesthood. That being said, his calling is harder than I ever imagined. I feel alone and jealous at times of the attention the church and parishioners receive from him. I feel like he has "secrets" from me when he knows church business that I do not. (Though in truth, I know it's better for me not to know or be bothered with most of it!) Sometimes I really wish he could help me more with the kids on Sundays. And or parish is so small, I do get pulled into a lot of projects! All that being said, I would marry my husband again in a heartbeat. --- I would still marry him. I would not have moved and gone to seminary while struggling with PPD. I would have asked the Bishop to wait another year. I am stronger in my faith and happier now that he is ordained and he is no longer a seminarian. I am still afraid of having more kids than I can handle and I feel like I'm a single parent a lot, especially at community events and at church. I have to go everywhere alone or he's too busy to help me parent. On the plus side I have had the chance to see God's blessings when we have encountered financial hardship and cheques arrive from the Knight of Columbus or from a parishioner...just in time to fix the truck or replace the worn out cassock. I trust more in God's plan for my life and the He will keep us safe. --- Even though we both have made mistakes- I am 100% glad that this is our life!